TJ00184 – 5Gruralfirst.org Industrial IoT- 5G RuralFirst is providing a vital step change to connectivity in UK agriculture and rural communities, with a variety of use cases being tested across our Shropshire and Somerset test sites. TJ00165 – androidpolice.com AT&T’s first 5G speed tests are here, and they’re not great. Pub 31 Dec 2018 Added 2 Jan 2019 Left: 5G speedtest versus LTE test in same location on right. TJ00126 – androidauthority.com OnePlus’ 5G smartphone will not be the OnePlus 7. A OnePlus spokesperson revealed that the company’s 5G smartphone will launch in early 2019. The spokesperson also revealed that the 5G smartphone will not be the OnePlus 6T successor. OnePlus’ 5G smartphone will kick off a new line of devices for the company. TJ00115 – 5G ROI is a no-brainer for us – Orange. 5G is clearly critical for the digital economy of tomorrow, but the expensive job of rolling out the networks take a bit more cunning thought. Speaking on a panel session at Total Telecom Congress in London, Yves Bellégo, Director of Network Strategy at Orange pointed out there is no debate on the ROI for 5G. It’s simple; 5G enables us to deliver data significantly cheaper. … Pub 30 Oct 2018 Added 31 Oct 2018. 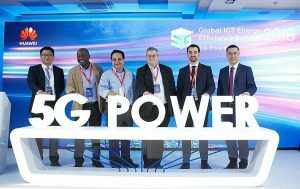 TJ00092 5g.co.uk Huawei launches 5G Power series for simpler energy evolution. TJ00091 – www.engadget.com US Senators push Canada to exclude Huawei from its 5G strategy. They’re convinced the country is opening itself to a security risk. American politicians aren’t just nervous about having Huawei devices on their networks… they’re worried about neighboring countries, too. Senators Mark Warner and Marco Rubio have sent a letter to Canadian Prime Minister Justin Trudeau asking him to “reconsider” Huawei’s involvement in any of the country’s 5G plans. TJ00073 – telecoms.com EE shows its 5G ambitions are greater than the smartphone. EE is set to green light its first 5G trial in London, testing out its fixed wireless access ambitions. TJ00072 – The 5G Dilemma: More Base Stations, More Antennas—Less Energy? TJ00071 – Vodafone chief warns governments on ‘artificial’ 5G auctions. European countries urged not to follow short-term thinking of Italian spectrum sale. Please use the sharing tools found via the share button at the top or side of articles. TJ00070 – Verizon’s 5G home internet is sort of real, sort of fake. Verizon became the first major ISP to launch 5G home internet service yesterday. It’s a major step on the road to making 5G a reality, but if you’ve ever in your life interacted with an internet provider, you’re probably at least a little bit skeptical: is this really 5G? TJ00060 – 5g.co.uk – Ontix to deploy small cells in Westminster to pave the way for 5G. Wireless infrastructure provider Ontix Limited is set to deploy small cell nodes on street furniture such as lamp posts in the Westminster borough of London to boost connectivity and pave the way for 5G. TJ00046 5g.co.uk EE is laying the foundation for a 5G launch in August 2019. We already know that EE is aiming to start rolling out a 5G network in 2019 – probably around August – and the company has just taken a big step towards that by announcing plans to upgrade more than 500 of its mobile towers in the next six months. These are towers which currently broadcast a 3G signal, and they will of course not be upgraded straight to 5G in that timeframe, but rather they’ll be upgraded to carry a 4G signal. TJ00045 EE to put its new 3.5Ghz spectrum to the test in live 5G trial. EE will switch on what it is claiming will be the UK’s first live 5G trial network in October, in London’s Tech City. This, the mobile operator says, will connect EE’s customers to 5G for the first time. Around the east London technology district, also known as Silicon Roundabout, 10 sites will be upgraded to 5G. EE also worked closely with Tech City on trialling and rolling out its 4G network. TJ00044 www.ft.com Hazy 5G growth agenda nags telecom chiefs. 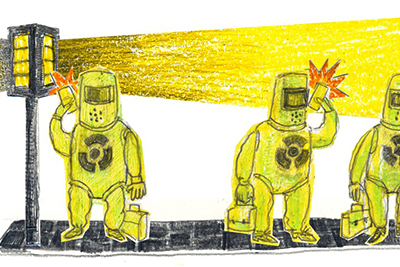 The industry has been burnt in the past by setting unrealistic expectations. Mobile phone users in the Finnish city of Tampere and the Estonian capital Tallinn were the first in the world to be connected to a commercial 5G network in June when Elisa, the Finnish mobile phone company, switched on the first live next-generation service and made a video call between the two cities…. TJ00039 venturebeat.com Huge Qualcomm 5G test phone sparks concerns ahead of network launches (Updated). If you look carefully through 2018’s numerous 5G device announcements, one concerning thread has persisted since early in the year: a hint that early 5G devices might be unappealingly large. Qualcomm acknowledged and downplayed the issue at its February 5G summit, suggesting that early 5G phones might need to be a little bigger, but with every passing announcement, it’s becoming harder to imagine a small 5G phone. TJ00036 also from 5g.co.uk Goldman Sachs suggests rural areas could more easily get 5G than cities. Cities tend to be the focus for mobile coverage and that’s unlikely to change with 5G, but rural locations could actually be easier to bring 5G coverage to, and after the tech has been tested and honed in cities we might therefore see massive infrastructure investments to make it widely available in rural places too. 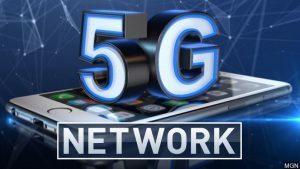 That’s according to Jason Tofsky, MD in the Technology, Media and Telecom (TMT) Group in the Investment Banking Division of Goldman Sachs, who in the video below explains that rural towns will be easier to bring 5G to because they lack big buildings and other obstacles which can interfere with a 5G signal. See their promotional video here. TJ00034 www.forbes.com Nokia Has Multiple Avenues To Profit From 5G. Wireless behemoth Nokia is betting on next-generation 5G technology to drive growth, after posting mixed results over the last few years amid intense competition from Chinese equipment manufacturers and weaker infrastructure spending by telecom companies. TJ00033 www.birminghamupdates.com The West Midlands to become the UK’s first large-scale 5G testbed. Birmingham, Coventry and Wolverhampton to become 5G hubs after winning national competition. The West Midlands has been selected to become the innovative home to the UK’s first multi-city 5G test bed. The multi million pound trial of new high speed connectivity will pave the way for the future rollout of 5G across the UK, making the region the first in the UK ready to trial new 5G applications and services at scale. TJ00029 www.lightreading.com AT&T picks Indy as 7th Mobile 5G city. TJ00027 5G testbed comes to rural Netherlands. The 5Groningen project was officially launched to bring a 5G testbed to the Dutch province of North Groningen. TJ00025 www.5G.co.uk 5G networks could displace wired solutions. Telecommunications companies that focus on wired solutions could face disruption and fresh competition from 5G wireless networks, new analysis from Citi warns. Citi’s latest Disruptive Innovations report says that wireless 5G services could potentially replace consumer broadband and offer more flexible and attractive voice and data options for small companies and branches. TJ00023 wwww.reuters.com Nokia secures 500 million euro EU loan for 5G development. TJ00018 venturebeat.com Nokia caps 5G royalty at €3 as mobile industry seeks licensing peace. 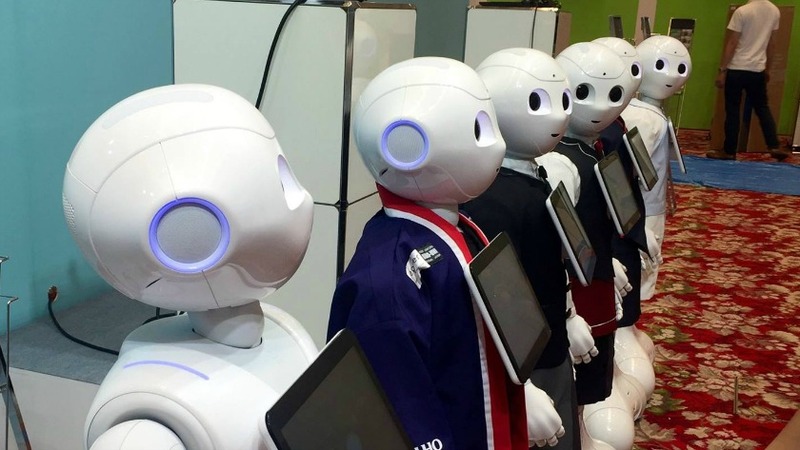 Trade wars generally aren’t good for technology companies or consumers, and neither are patent battles — they tend to burn millions of dollars in legal fees while delaying or halting the spread of new technologies. To help avoid future 5G licensing-related fights, Nokia today disclosed its licensing fee for 5G standard essential patents: €3 (U.S. $3.48) per device, a flat rate notably lower than 5G licenses announced by rivals Ericsson and Qualcomm. TJ00017 5G.co.uk O2 trials Li-Fi on its path to 5G. 02 is running a Li-Fi trial at its headquarters in Slough, using LED lightbulbs to deliver fast wireless connectivity. The trial is being run in partnership with Li-Fi provider, pureLiFi, and 02 says the initiative is part of its network trials towards launching 5G in the UK. Where Wi-Fi which uses radio waves, Li-Fi (short for Light Fidelity) uses ‘visible light’ from LED bulbs to transmit data. TJ00012 Ensura, Ensuring Your Security Smart locations. 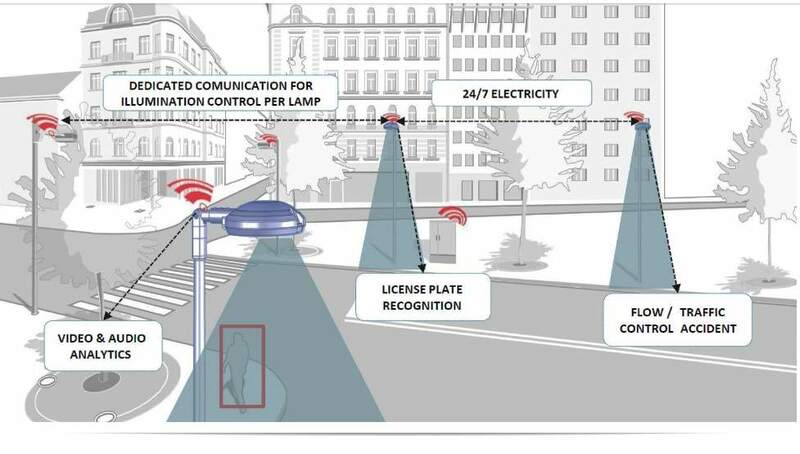 Smart Street lights. One such light was seen in Plymouth England. The link has disappeared but the diagram is still valid. TJ00010 Verdict.co.uk If you think 5G will solve the bad 4G signal in your office, we need to talk. There are multiple reasons why indoor coverage has suffered in some places, and plenty of these hurdles will continue to challenge operators in 5G. Pub 26 June 2018 Added 29 June 2018. TJ00004 Prof. Andrea Goldsmith – MIT Wireless Centre 5G Day Talk 1: The Road Ahead for Wireless Technology: Dreams and Challenges 36:21 Pub 25th May 2016.